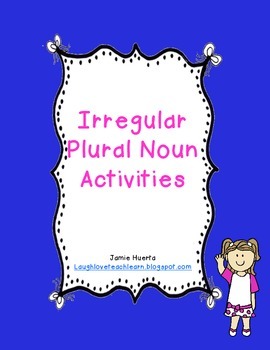 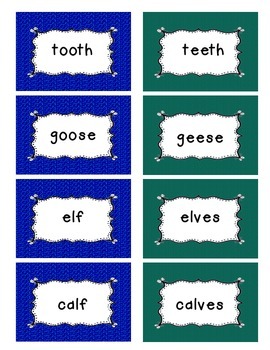 This packet reinforces the skill of irregular plural nouns in a fun way! 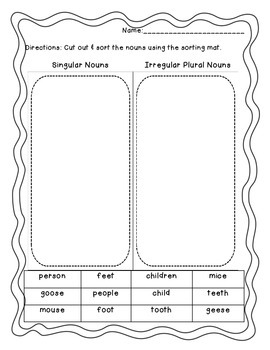 There is sorting, coloring, cutting, fill in the blanks, and a foldable flip book. 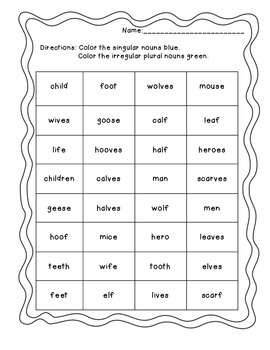 This packet also includes 32 color coded sorting cards that can be used in small groups, centers, or "I have....who has" games.